westin m marriott | Nam Writes. In less than a month, M and I embark for Spain. This is our first international trip together and M’s first business class experience. We’re both very excited to see all the traditional sights, but I’m also over-the-top excited about the hotels I booked. I booked our Madrid hotel first. I knew I wanted lodging close to the Prado art museum in the center of the city. 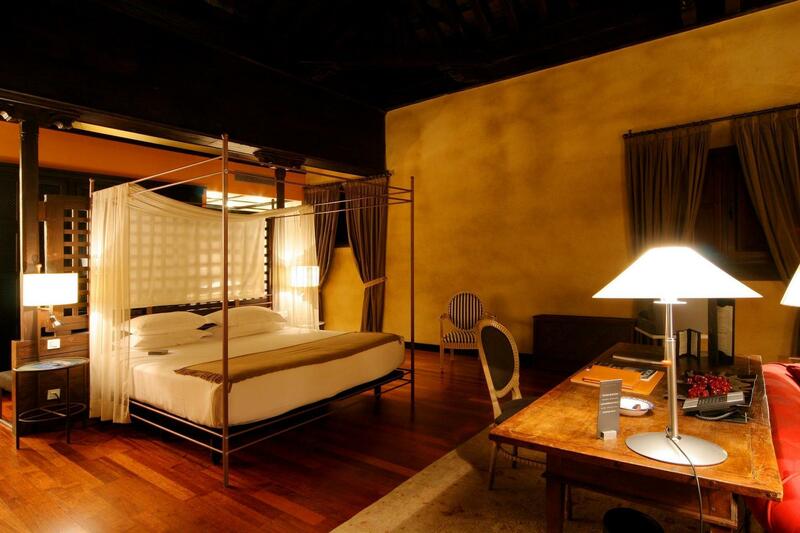 With its five nights for the price of four policy and central location, SPG was an obvious choice. 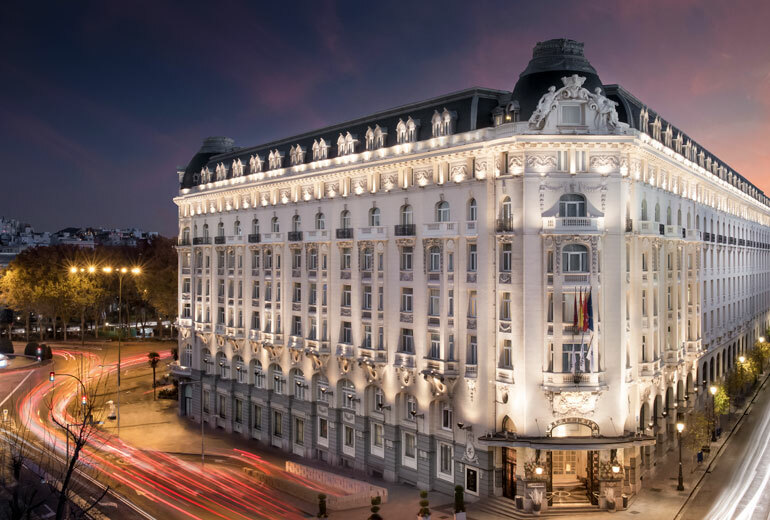 It came down to choosing between the Westin Palace (category 5) and the The Principle Madrid (category 5). The Westin was 12,000 points a night while the The Principle was 16,000 (despite both being category 5 hotels) and M preferred the Westin’s traditional decor. I booked six nights at the Westin for 60,000 SPG points. Next, I booked our single night in Granada. 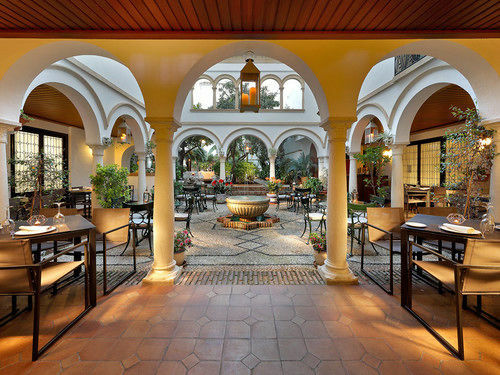 There is a dearth of points hotels in Granada so it came down to a choice between the Marriott’s AC Palacio De Santa Paula, Autograph Collection and non-points options. For 35,000 points, I splurged on the AC Palacio even though it’s a bit removed from the center of town. I’m even more excited about this decision now that I’ve achieved gold status with Marriott after completing a status challenge this fall. Turns out, there are some benefits to living out of three star hotels in suburban Pennsylvania. With gold status, we’ll get free breakfast and hopefully, a sweet upgrade. 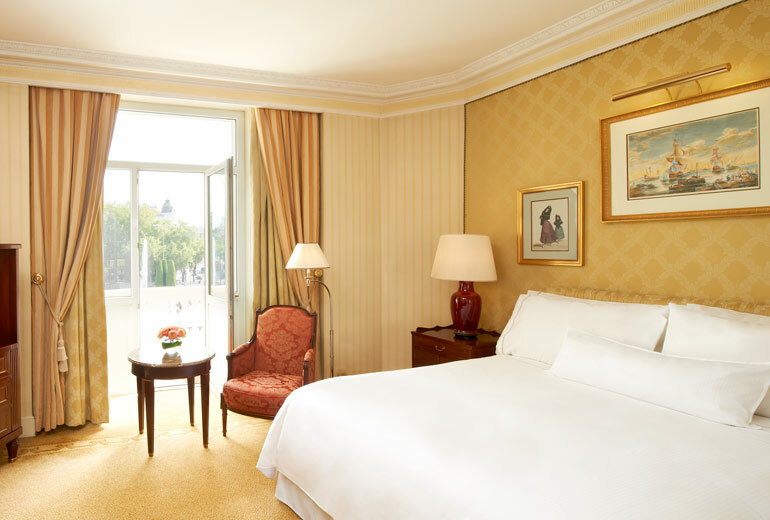 I’d love to get upgraded to this gorgeous suite. Barcelona was my biggest dilemma. 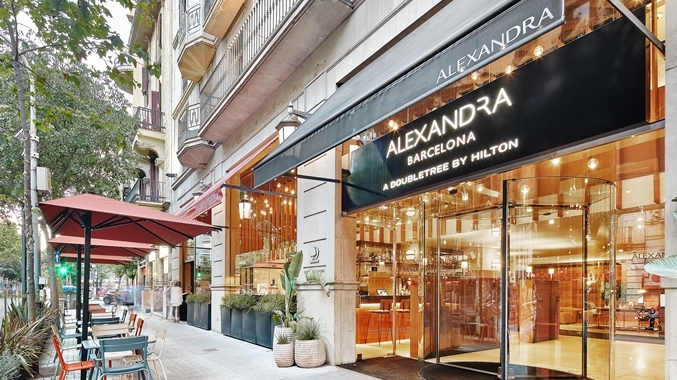 I was sitting on a nice pile of Hilton points, but the Hilton of my choice – the Alexandra Barcelona DoubleTree cost 50,000 points a night vs. 113 euros. That is not a great points per dollar value. In contrast, there are several good value Hiltons for 30,000 points a night, but they are farther from the center of town. Thus began the great debate of 2016: Stay father away and save some of my points, fork over $600 for four nights at the DoubleTree, or bite the bullet and hand over 200,000 Hilton points. After much agonizing, I decided on the latter option. I love the idea of staying in the center of Barcelona and decided to save our money for other trip expenses. Plus, as a diamond Hilton member, hopefully we will score a nice upgrade. The DoubleTree boasts a couple of spacious suites that will make my day. 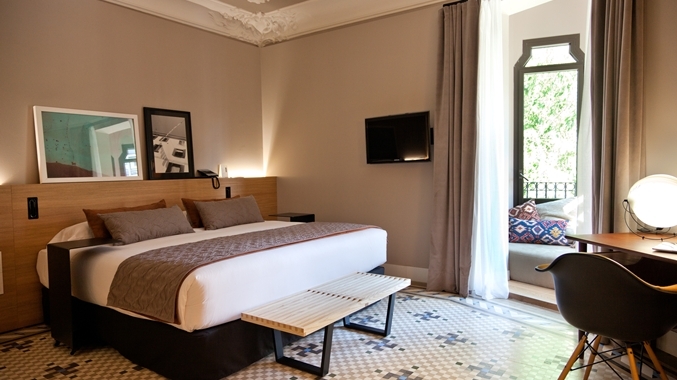 Seville has no points hotels in the old quarter where we want to stay. Since we’re not traveling in peak season, there are many afforadable options. My major priority after location was space. While we’re not planning to spend a lot of time in our hotel, I hate walking into European hotel rooms that are essentially a box. Is it too much to ask for some space on either side of my bed? 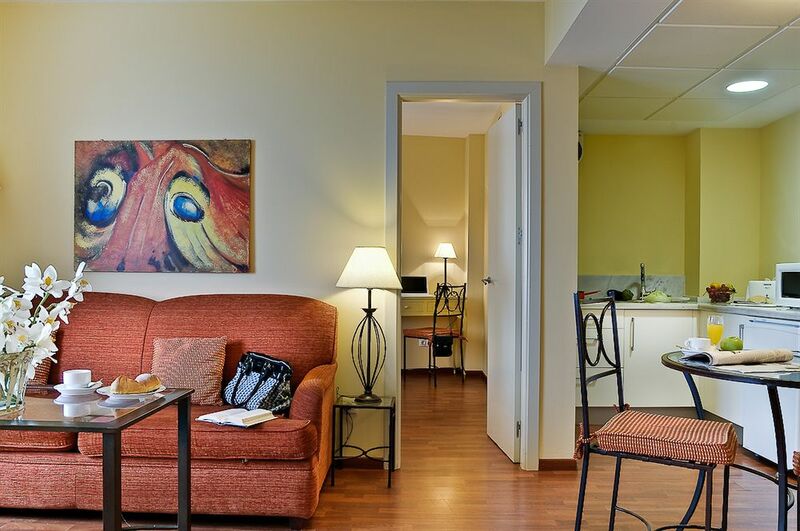 In the end, I settled on an apartment-style lodging that is affiliated with a nearby hotel. Apartamentos Murillo gives us 300+ square feet for two nights, and it’s a short stroll to the Royal Alcazar. Cordoba was the least stressful decision. We will only be there for one night, and there are only a handful of decent options in our price range within the city walls. For $70, I booked Eurostars Conquistador, a four star hotel next door to Mezquita.